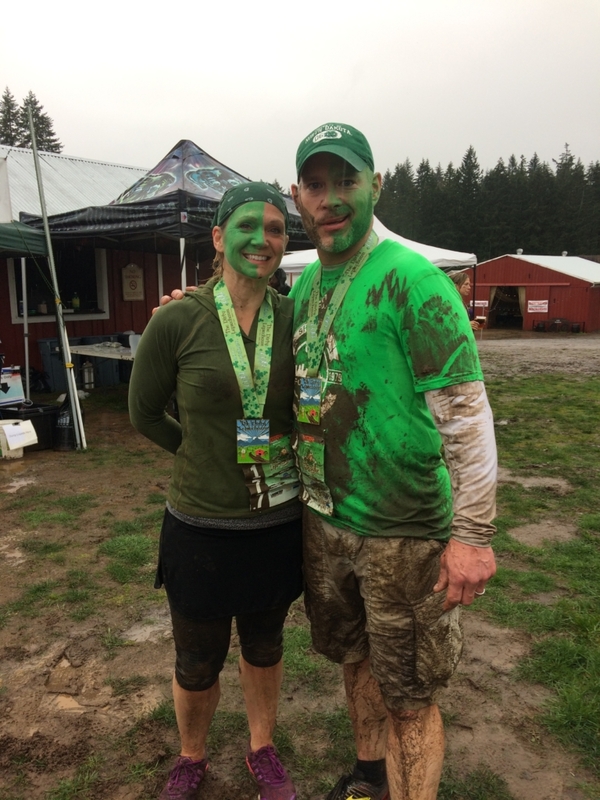 This St. Patrick’s Day weekend at Lee Farms in Tualatin, Oregon – couples, families, and friends escaped the cliche and got down and dirty at the Dirty Leprechaun 5k Mud Run hosted by Terrapin Events. 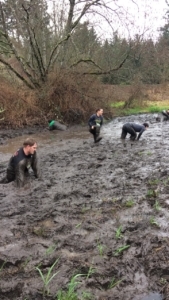 Unfortunately, the sun did not make an appearance this weekend but that didn’t stop the runners from diving head first into the cold, thick mud pits throughout the course. I, ran five races coordinated my Terrapin Events and have been overall impressed by the enthusiastic volunteers, well-organized events, and the well-designed courses. Starting with registration and packet pick-up, everything was a breeze. Terrapin Events maintains a very user-friendly website and staffs plenty of helpful volunteers. During the registration process, you have the option to purchase a hot shower for $5 (totally worth it) as well as a parking pass that allows you to park right outside the festival grounds for $20. For those looking to save a little money, Lee Farms offers a very convenient shuttle bus with free parking located about two miles away. At packet pick-up, there was beer tasting, music, and a solid staff of enthusiastic volunteers getting everyone set up and ready for the race the following day. Arriving at the festival grounds, you are immediately greeted by helpful volunteers ready to direct you to on-site packet pick-up and bag check (which, by the way, is free!). Exploring the festival grounds, I noticed everything was very clean and well laid out with three bonfires burning to get everyone nice and warmed up before diving into the cold mud. There were about ten vendors in the festival area all with inclusive games, prizes, and merchandise. To top everything off, there was a great DJ and announcer getting the runners pumped up and ready to run. This was a smaller, less well-known race which attracted a lot of “ first timers”. A lot of the participants I had the pleasure of speaking with told me this was their first obstacle course race and were very excited to do something “out of the ordinary”. 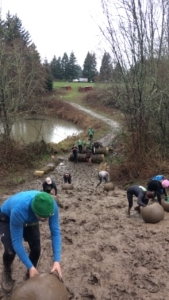 In my opinion, The Dirty Leprechaun is a great course to run for your first obstacle course race. The course is rather flat and the obstacles are pretty easy to conquer. There are no heavy carries or obstacles that require runners to carry their own body weight like you would find in some of the more well-known obstacle courses. There also isn’t a huge sense of competitiveness which can be intimidating to individuals who are new to the world of obstacle course racing. Most racers were there to have fun and do something new with their friends. At the start line, waves of runners were sent out by cheering crowds every ten minutes.The course itself was really well mapped out minus a few confusing tape lines. 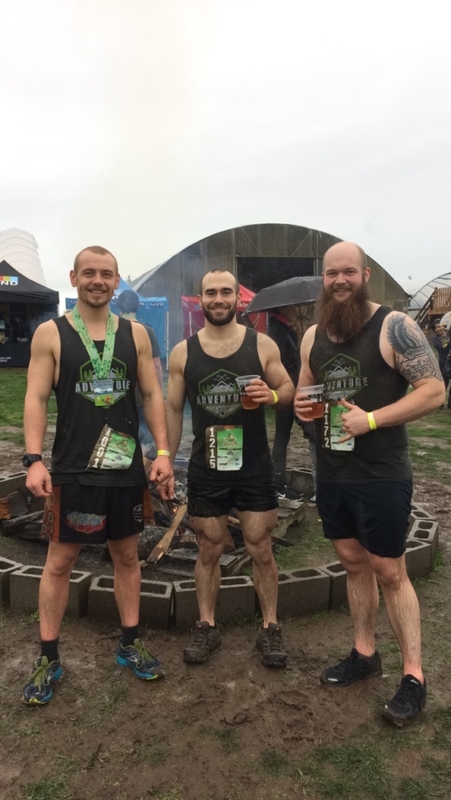 There were also quite a few areas throughout the course that were very swampy making it a little difficult to run, but all together the course was great! The obstacles were all spaced out very well and the release of waves ensured that there were no lines slowing down runners. 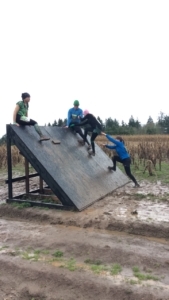 The majority of the obstacles were pretty standard ones you encounter during OCR’s. Wall climbs, mud pits, steep hills, etc. The Dirty Leprechaun and My Muddy Valentine have the same course design so once again, I got to take on the Shoe Snatcher. The Shoe Snatcher (a crowd favorite) is a waist-deep pit of the thickest mud I have ever encountered. I would highly suggest taping your shoes for this one. I witnessed multiple people climbing out, shoeless, and diving back in to recover their lost shoes. This time around I had the pleasure to get back out on the course to photograph some of the runners making their attempt to conquer the Shoe Snatcher.I got a pretty good laugh being a spectator! Runners 21 and over were able to participate in the “Chug and Run” (my favorite) which consists of chugging a beer and running thru a collection of tires. A Lot of people use this obstacle to relax, catch their breath, and chat with other runners. Some even challenge their friends or even strangers to see who can chug the fastest. This is a race afterall… At the finish line, runners are rewarded with a medal and a delicious spread of post-race snacks and refreshments. Let’s not forget a complimentary beer! In conclusion, The Dirty Leprechaun 5k Mud Run was a fantastic event and a great way to try something different for St. Patrick’s Day. This a great event to bring family, friends, and significant others to indulge in some quality muddy bonding time and maybe even spark a new found love for obstacle course racing. I had a great overall experience, met some amazing racers, and got covered in mud and I will most definitely be returning next year for another Dirty Leprechaun 5k Mud Run!